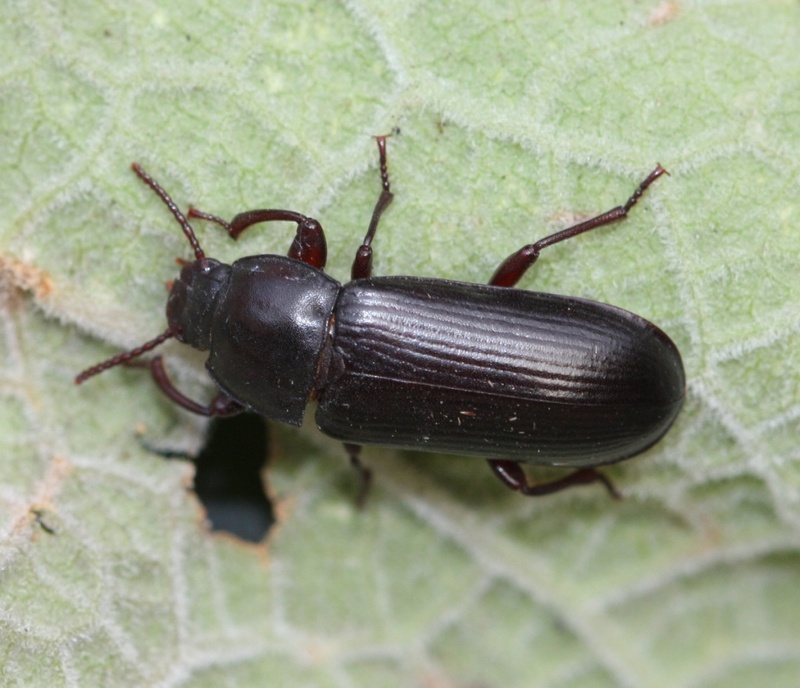 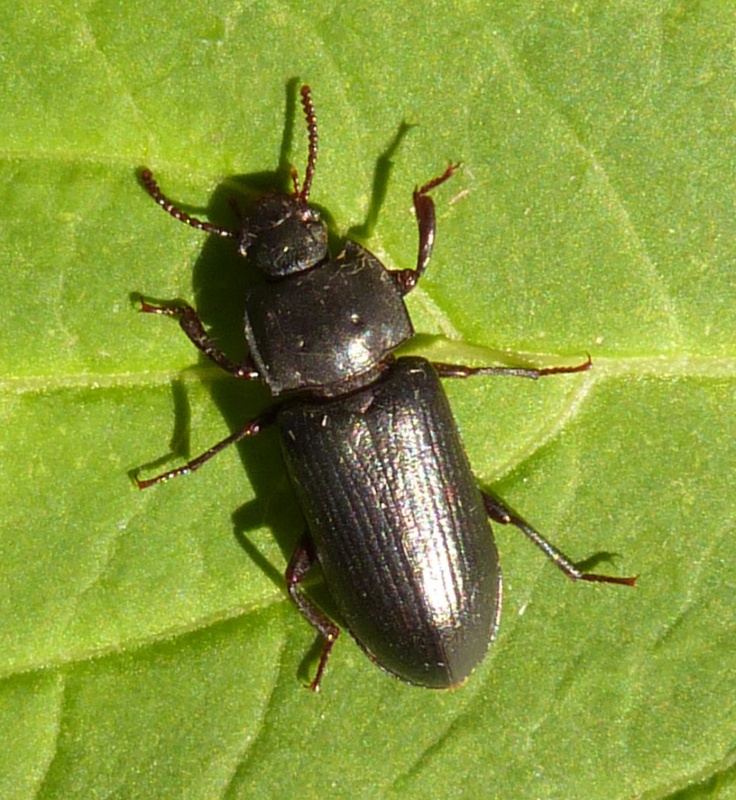 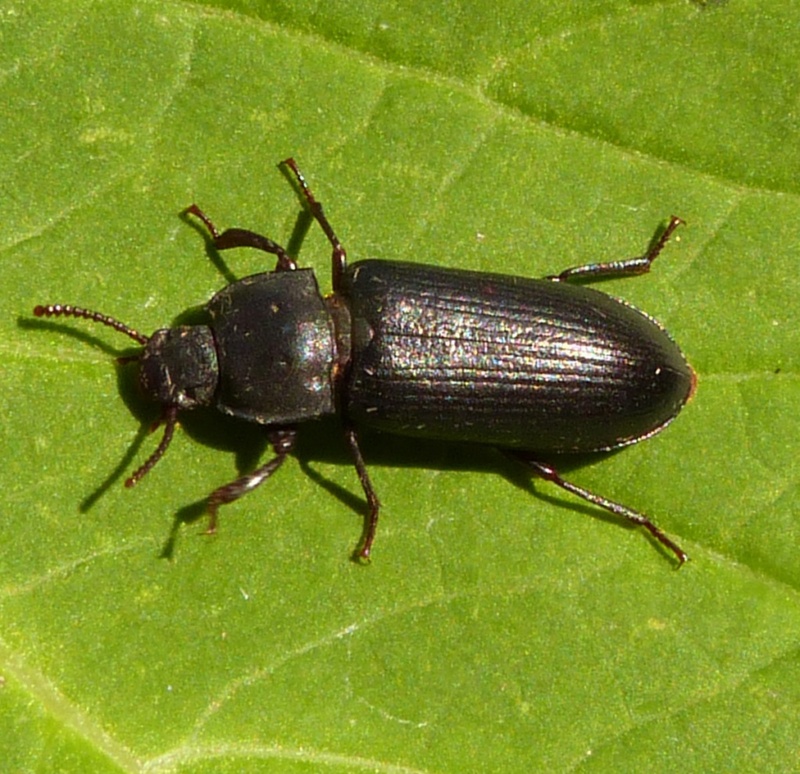 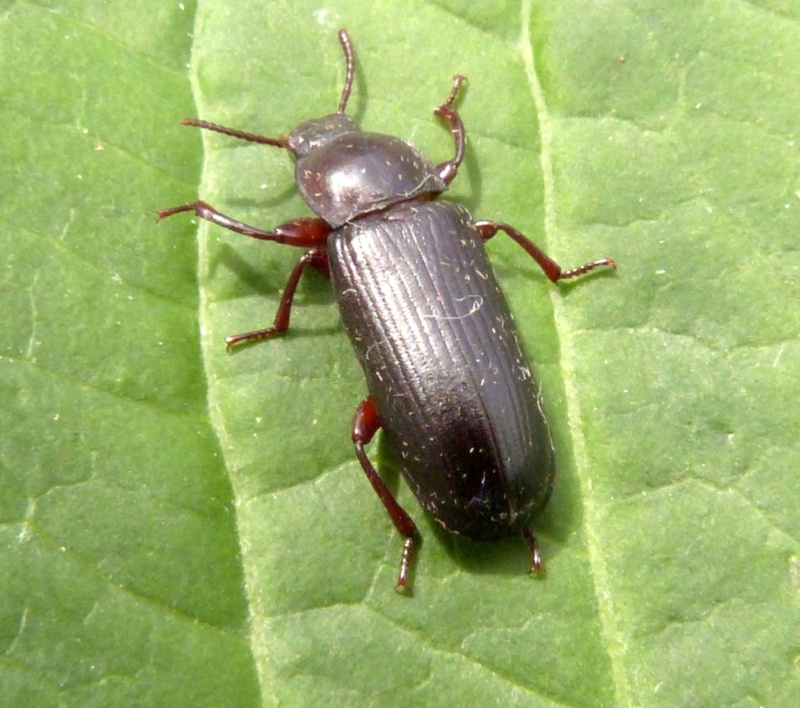 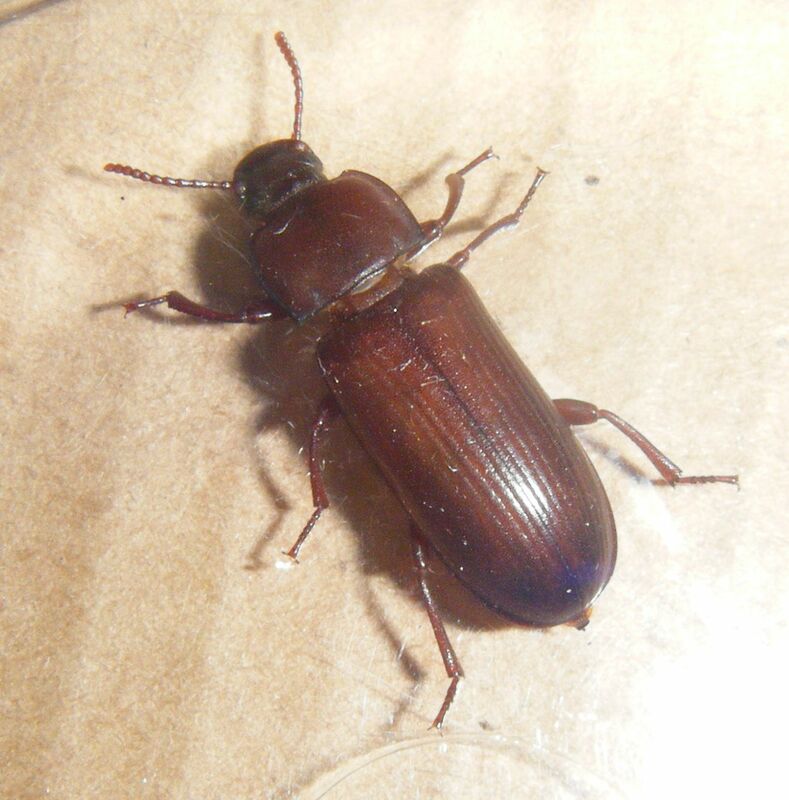 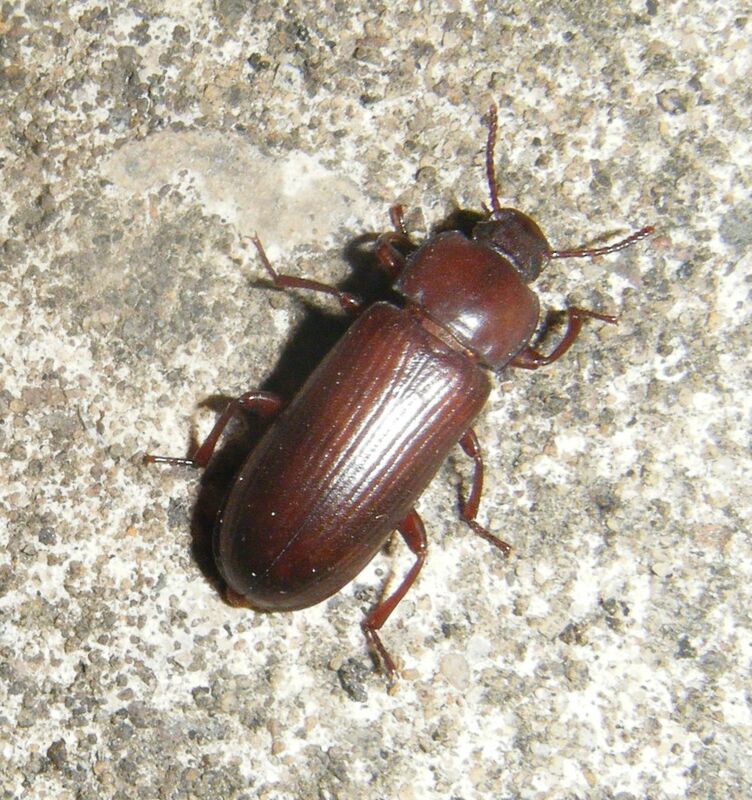 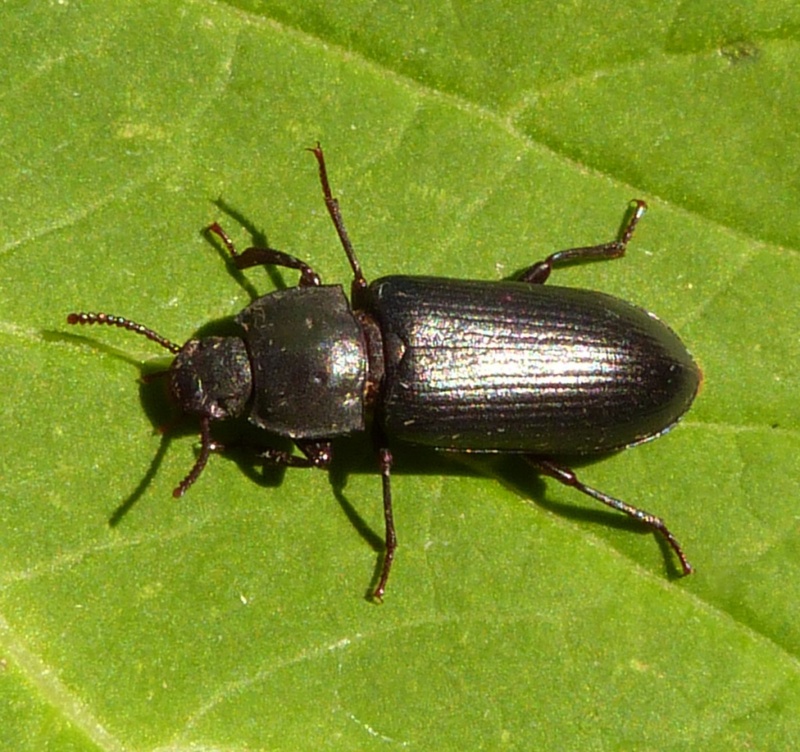 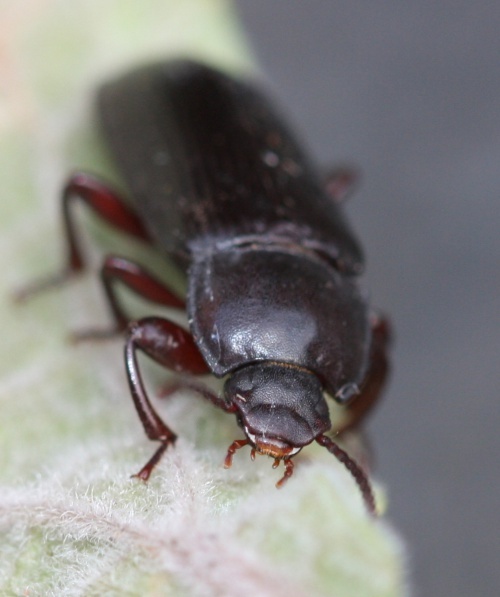 Tenebrio molitor is a species of darkling beetle. 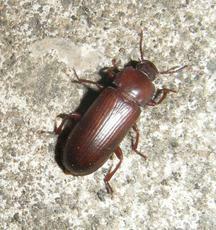 Length 12 to 18 mm, width 4.5 to 6 mm. 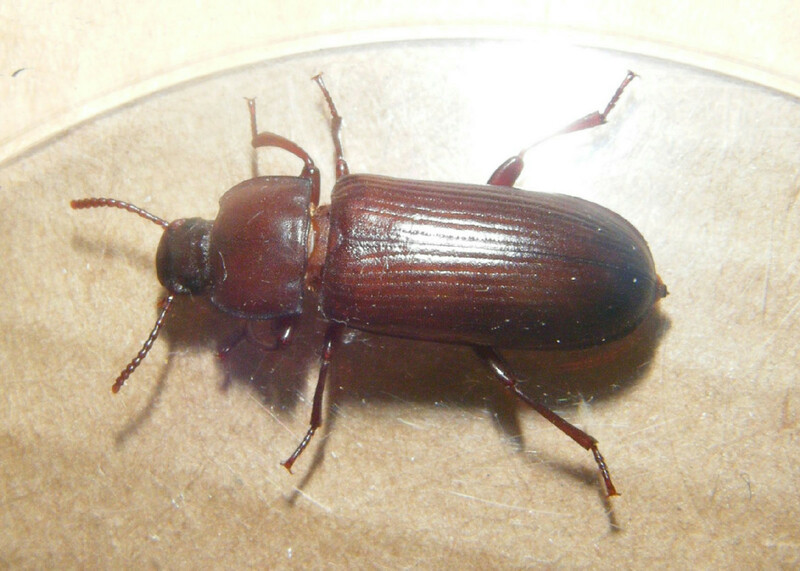 Usually dark brown to almost black but light brown specimens are not uncommon. Entire upper surface punctate and somewhat shining. 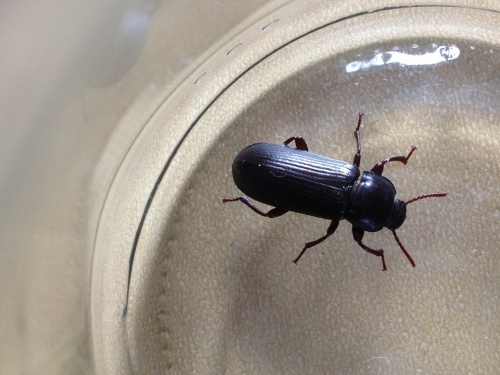 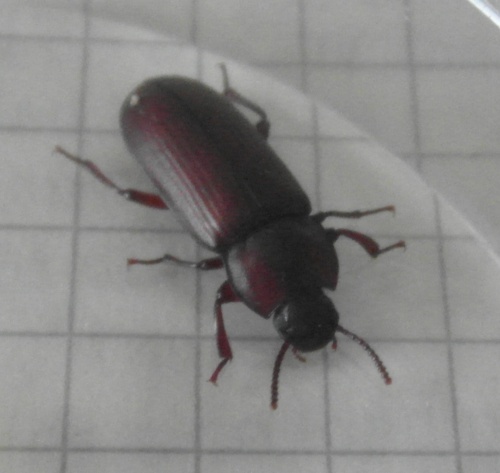 Often found around houses where it is attracted to lights. The larvae are the familiar mealworms that are fed to birds. 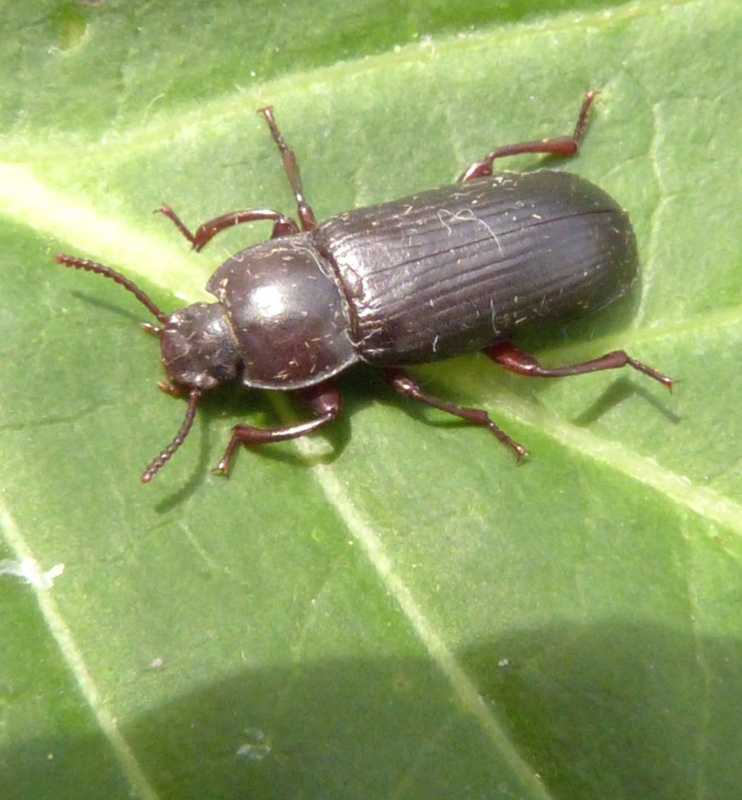 Widespread and previously fairly frequent in England, but possibly declining.